High density nylon over metal is virtually squeakless on riveted hinge pin. Long wear on bushing with this tough composite material. 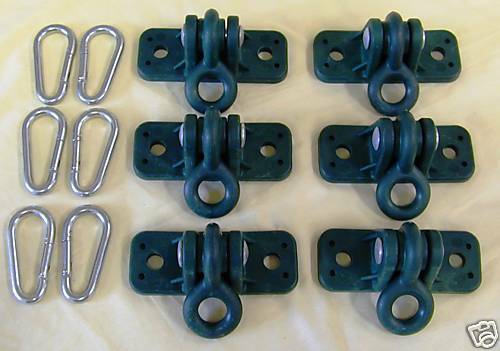 5/16" x 3" Oval Snap Hooks Included - 6 pcs !!!! !